As an award-winning journalist and internationally recognized television personality, T.J. Holmes understands that an audience needs more than just a news story; they respond to a trustworthy individual who can deliver stories with candor, reliability, intelligence and passion. Tenacious and charismatic, Loutelious “T.J.” Holmes has meticulously and successfully crafted his delivery to convey news to a variety of audiences without compromising his unique style, which is always informative yet entertaining. He successfully completed his matriculation through the broadcast journalism program vowing to become an affluent and influential journalist. With determination, he drove with absolute resolve to Joplin from the University’s campus to hand-deliver his resume and reel to KSNF Channel 16 in Missouri. His tenacious drive, infectious smile and magnetic persona led him to land a position on the spot. Holmes would go on to spend a few months at KSNF working as a dedicated producer, assignment reporter, and weekend anchor before moving back to his home state of Arkansas to join CBS affiliate KTHV as a general assignment reporter. Within a year honing his skills and refining his television bravado he quickly ascended to weekend anchor. In 2003 Holmes moved on to KNTV, the NBC O&O station in the San Francisco Bay Area, to become the evening news anchor. While at KNTV he traveled to Athens, Greece to cover the 2004 Olympics, the first Summer Games held after the September 11th attacks. Holmes covered an abundance of fast-breaking national news stories, including the historic recall election of California Governor Gray Davis that resulted in the election of Governor Arnold Schwarzenegger, as well as the widely covered double murder trial of Scott Peterson. By October of 2006, Holmes’ distinct talent and delivery earned him national praise and a coveted position at the internationally acclaimed global news network, CNN, as a news anchor and correspondent. For four years, he hosted CNN Saturday & Sunday Morning alongside Betty Nguyen until she departed allowing Holmes to commandeer the spotlight, shining as the solo newscaster of the widely watched program. Holmes dominated breaking news events at CNN, reporting on the scene from some of the most riveting news stories including the devastating Joplin, Missouri tornadoes, the Deepwater Horizon oil spill in New Orleans, and the tragic shootings on the Virginia Tech campus in Blackburg, Virginia. He secured some of the first accounts from the survivors of the US Airways Flight 1549 that crash-landed in New York’s Hudson River in January 2009 and reported from the campus of the University of Mississippi during the first presidential debate between Senators John McCain and Barack Obama. Holmes even anchored from Ground Zero to commemorate the emotional 10th Anniversary of the September 11th attacks. His contributions to the coverage of the oil spill and the Presidential campaigns both garnered the network prestigious Peabody Awards, which recognize distinguished and meritorious public service by radio and television stations, networks, producing organizations and individuals. Holmes has anchored significant news stories and led public discourse on issues including Saddam Hussein’s execution in 2006, the terrorist attacks in Mumbai, India in 2008 and at Glasgow Airport in 2007. Holmes’ last day reporting for CNN was on Christmas Day of 2011 as he began to prepare for the next chapter in his career. Holmes continued to soar to new and exciting heights as he made history with his long- awaited foray into nighttime television on Viacom’s BET Network. In October 2012, he signed a multi-platform deal to host a new late-night hybrid talk show, “DON’T SLEEP!,” which laid an inspiring foundation for thought-provoking programs for African-American interests and righteously earned him an NAACP Image Award Nomination shortly after its premiere. Holmes delivered smart, biting social commentary on significant issues and hosted a distinguished panel of thought leaders and correspondents from various disciplines in an exchange regarding headlines that affect the community. After a successfully building awareness surrounding vital stories mainstream media tends to disregard, Holmes forged confidently forward to continue his journalistic aspirations covering the George Zimmerman trial on CNN’s Headline News (HLN) before serving as a contributing anchor to MSNBC from 2013-2014. At the end of 2014, ABC became Holmes’ new, permanent network home. 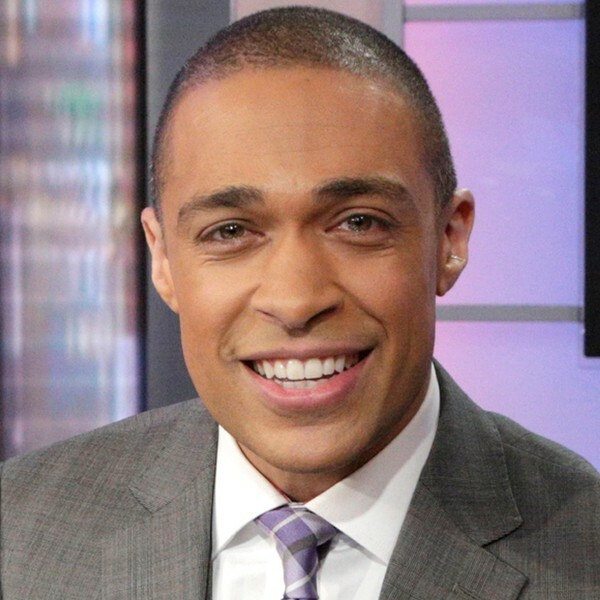 In a short time, viewers have taken notice of his contributions to Good Morning America, while early risers catch him anchoring World News Now and America This Morning. Currently, he serves as member of the Chancellor’s Board of Advisors at the University of Arkansas and is on the Board of Visitors at Emory University in Atlanta. Holmes is a zealous member of the 100 Black Men of Atlanta and the National Association of Black Journalists. He was honorably selected as one of the Root 100 of 2012 (black achievers and influencers between the ages of 25 and 45 that represent the ideals of The Root) and is a recipient of the venerated 2012 Hennessy Privilege Award.